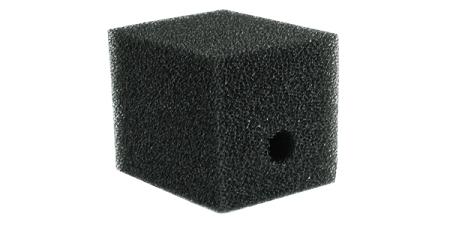 This pre-filter foam is approximately 5 1/8"L x 4-1/8"W x 4-1/8H. This is an excellent substitute for AP6859 now discontinued. For use with all Pond Care pond pumps item numbers 705C, 705D, 705E and 705F and Rena Flow models 350/450/1500/2000/850/1250/4000/6000. The filter is made of coarse pore 20ppi (pores per inch) aquatic-grade foam.